Well today wasn&apos;t my day at all, woke up around two am by a bang and after that I had serious problem getting back to sleep. I dosed but I didn&apos;t get that deep sleep, so running today was a real challenge. 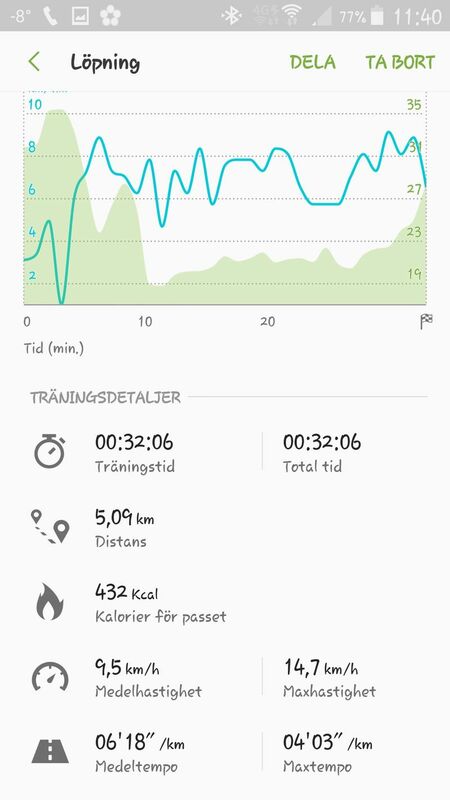 But I did it and and much to my surprise the 5km distance was at 32 minutes, still one kilometer shorter from yesterday&apos;s perfect (almost) run. The rest of the day I rested and fell asleep in the couch for about an hour after lunch. So enjoying my free seven days of Blinkist!! Today I have listened to fem blinks. I have learned some new things that I will utilize later in this year. Grateful for the nights I get good sleep.